Originally designed by Eero Saarinen, his graceful designs remain as fresh and popular as when they were first introduced in 1957. 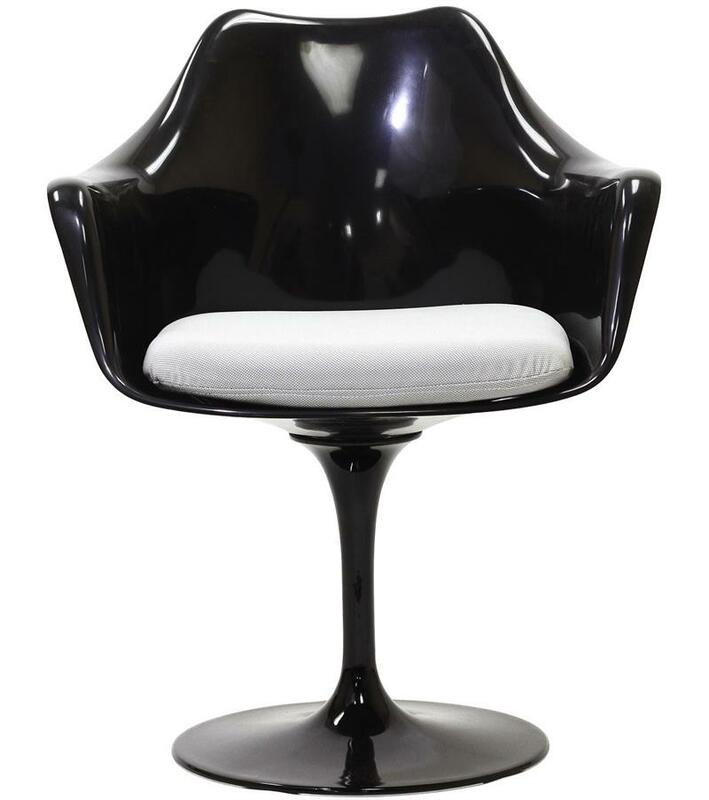 Our reproduction Tulip Armchair is made with a molded fiber-reinforced polypropylene shell and cast aluminum base. 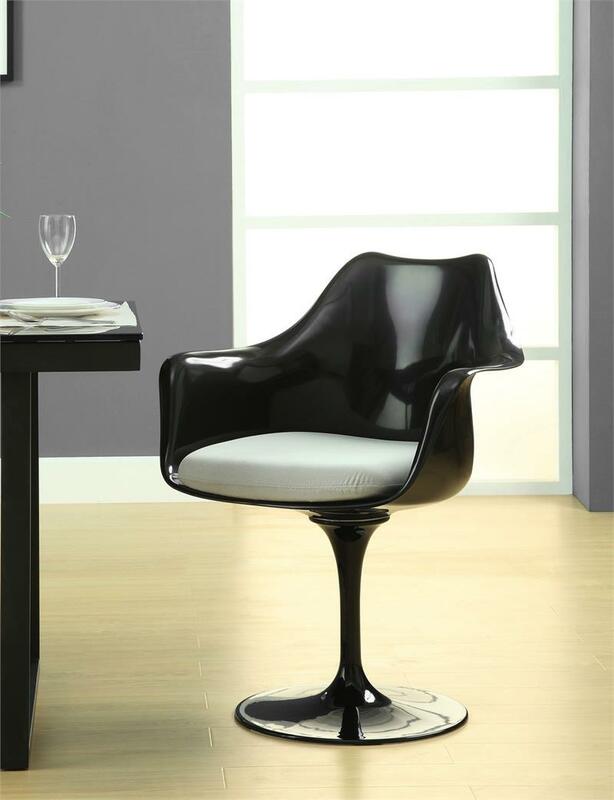 The seat on the chair swivels 360 degrees for great function and versatility while the molded shape contours the body and adds a great aesthetic. 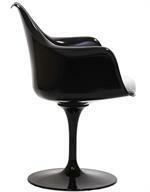 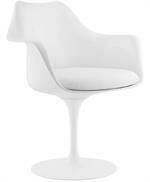 As in all of Saarinen's designs there are no sharp edges, and the curved smooth lines of this chair will delight. 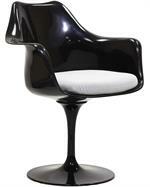 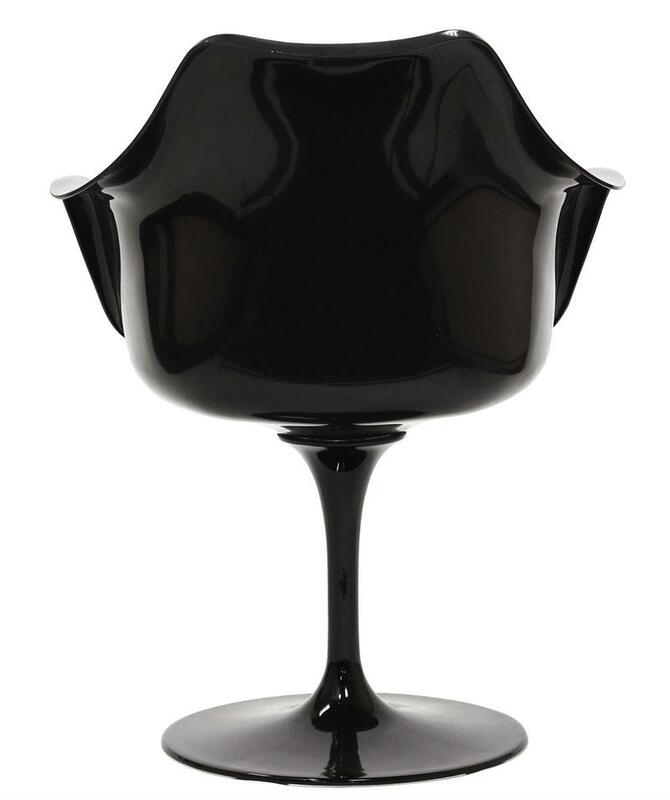 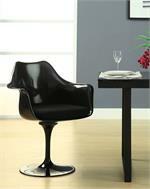 This iconic chair is ideal for any kitchen, dining room, living room and offices. 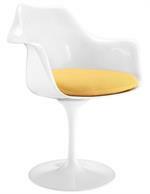 Tulip armchair is stunning as a feature chair or paired with the rest of the Saarinen Tulip collection.